The Court of Appeal has now passed final judgement on a case that was the first to challenge the rule of Monk’s compatibility with two articles of the European Convention on Human Rights. The judgement provides an important new precedent in UK housing law. Primarily in question here was the rule laid down in Hammersmith LBC v Monk (1992)(‘Monk’), by which a joint tenant can, without recourse to other joint tenants, end their joint tenancy by serving his or her landlord with a notice to quit. Mr and Mrs Sims had been the joint, secure tenants of a property owned by Dacorum Borough Council (“the Council”). The couple separated in 2010 and Mrs Sims left the home. She was eventually re-housed by a different local authority, but not until she had served a notice to quit on the Council in June the same year. 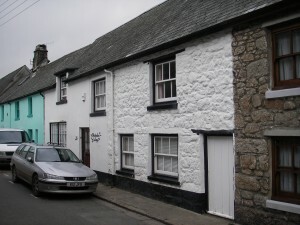 Mr Sims made an application to the Council to remain as the property’s sole tenant, but his application was rejected and possession proceedings issued by the Council on 28 October 2010. Mr Sim’ defence alleged that his wife’s notice to quit was invalid, that his eviction from the property would breach his rights under Article 8 of the Convention and that, in any event, the rule in Monk was incompatible with Article 8. Despite presiding Deputy DJ Wood, at Watford County Court, handing down a rejection of Mr Sims’ arguments and making an order for possession of the property, Mr Sims obtained permission to appeal the order and “leapfrogged” to the Court of Appeal. Under the doctrine of binding precedent, the Court of Appeal remained bound by the superior House of Lords to accept the rule laid out in Monk and reject the appeal. The only question remaining, therefore, was whether to refer the case to the Supreme Court (previously the House of Lords itself; which could potentially overrule Monk). Mr Sims representatives argued that, in light of Strasbourg and domestic jurisprudence continually growing in importance, the Court was obligated to develop the common law, ensuring that Monk did not interfere unduly with his right to respect for his home (Article 8) and/or his right to freedom from state interference with his property rights (the Protocol). The Court of Appeal dismissed these arguments on the grounds that neither Article 8 nor Article 1 (First Protocol) were engaged by the facts of the case. For Article 8, the Court reinforced that the purpose of the Article was not to protect property or contractual rights, but rather to uphold an individual’s right to respect for his home per se; a right already protected in domestic law by the former tenant’s ability to argue that an eviction would not be proportionate (i.e. the “Pinnock proportionality” defence). As for Article 1 of the First Protocol, there had been no interference with Mr Sims’ rights because Mrs Sims had merely exercised the right enjoyed by both of them to end their joint tenancy of the property. The Court’s judgment should end all speculation about a possible intervention of European Convention rights in possession orders, which will no doubt be welcome to many Landlords. For listing offices in County Courts nationwide, it should also provide an opportunity to lift all stays on possession instigated whilst waiting on a decision in Sims.